To provide your household with maximum security requires adequate firepower. Without an efficient gun, it can make you and others in your home extremely vulnerable to intruders or attackers. There is a wide variety of weapons on the market today, which can make choosing which is best for you very difficult. Today we will be breaking down the six best home defense gun options in 2018 to make your search a little bit easier. The Remington Tactical 870 pump-action shotgun is one of the most highly recommended products in the best home defense gun market. Its high speed and durability make it effective for short to medium-range targets, which is why it is so popular in defense today. Not only does it have great features, it has a trustworthy track record among law enforcement and military members. Easy pump action for quick reload. Difficult to replace shell stops. Named for its purpose of protecting its users, the Winchester SXP Defender is another solid pump-action shotgun but at a more affordable price. It has one of the highest rated grips in the shotgun industry, which ensures that even in a greasy situation, this gun will not slip up. A tight grip means more efficiency and accuracy, so when considering which is the best home defense gun for you, check the SXP Defender out. Synthetic stock for reduced slipping. If you are looking for a weapon that has a bit longer range for more protection, a rifle may be an option to consider. The Mini-14 Tactical Rifle offers higher accuracy at greater distances, which can help you see threats before they become dangerous. Along giving you greater visibility, this rifle can help protect you from multiple targets. Although this rifle is more expensive than the other two options, you should do your research to see if it fits your needs before passing this one up. Cousin to the Remington 870, the Mossberg 500 lands on the best home defense gun list year after year. Just like the Remington, the Mossberg 500 has a great track record among the military and defense groups, is proven to be durable, and thoroughly rugged. One big advantage the Mossberg has over the Remington is its price. Dual extractors for increased grip. Not available for magazine extensions. 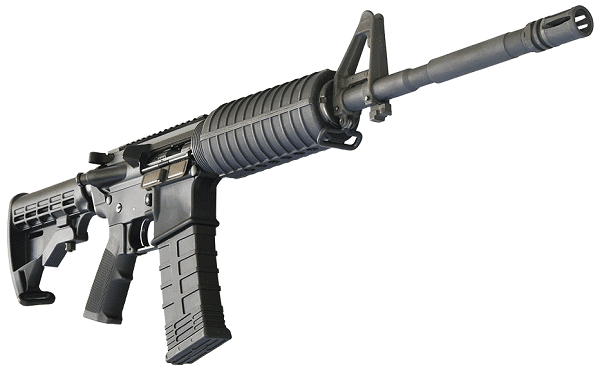 Another great option for multiple targets is the AR-15 semi-automatic rifle. The AR-15 can be a very dangerous weapon due to its highly-penetrative bullets and large magazines. It is effective in short to medium range and its power should be considered before purchasing and putting into use. To see if the AR-15 is right for your household protection, do not hesitate to check it out. 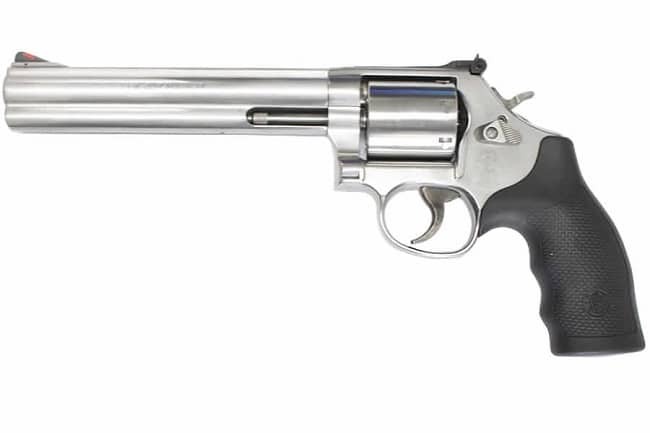 One classic option for home defense is the Smith & Wesson 686 revolver. Revolvers are powerful handguns that are much easier to use compared to a rifle or a shotgun. Not only are they easier to use, they are also more mobile. Although they are much smaller and simpler than the other weapons on the list so far, revolvers should not be underestimated. They are very powerful and effective for close range targets such as intruders. Now that we have taken a look at the top six options for the best home defense gun, deciding which one fits your needs should feel a bit easier. Keeping your home protected can make you feel at ease and create a better sense of comfort for the family. With this information, you can find the weapon that is best for your safety needs. Hey Buddy!, I found this information for you: "6 Best Home Defense Guns for Maximum Safety". Here is the website link: https://thegunrights.com/best-home-defense-gun/. Thank you.